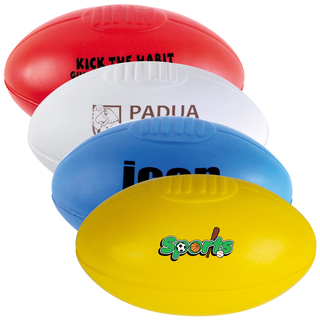 Print these stress reliever Aussie footballs with your logo! Great for educational campaigns, sports campaigns, product launches or trade shows. CAUTION: This is a voluminous item, volume freight rates apply on all orders - see freight page.